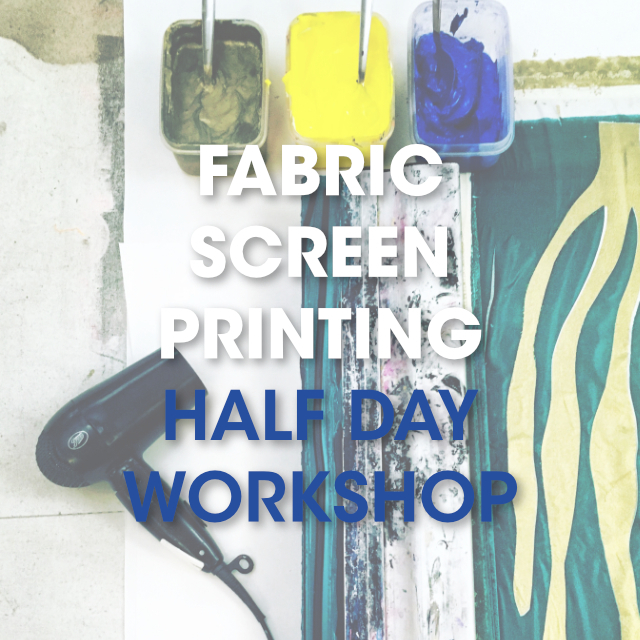 During this course you will learn a variety of techniques including photo, stencil, mono and illustrative screen printing to create large panels of handprinted fabric. You will be guided through formal, experimental and expressive design approaches and have the opportunity to create completely original prints which explore colour, pattern and texture. On completion of the course, you will leave with a selection of fabric panels in a variety of sizes all of which will be wash fast and ready to be use as you wish. Your fabric will also be suitable to use in conjunction with some of our other workshops and courses such as the simple jacket, smock dress and beginning to sew.